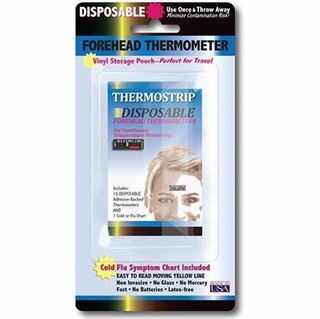 10 Disposable Adhesive Backed Forehead Thermometers. Use once and throw away. Minimize contamination risk. Cold or Flu Symptom Chart included. Vinyl Storage Pouch - Perfect for Travel.